Tanks & Terminals is a quarterly supplement to Hydrocarbon Engineering magazine, providing global coverage of the oil, gas and petrochemicals storage sector. Each issue includes in-depth technical articles and case studies, quality keynote articles, and regional reports focusing on the most important and influential markets within the storage sector. The Summer issue of Tanks & Terminals includes features on automation, fixed and floating roof technologies, terminal management, cleaning and inspection, leak detection, and more. It also includes a regional report focused on how global energy markets are having a knock-on effect in Europe. View a preview of the Summer 2018 issue here. 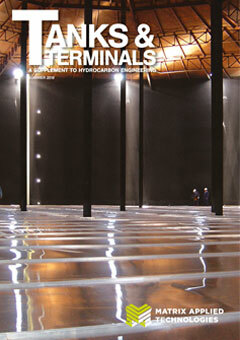 To receive a regular copy of Tanks & Terminals, register for your free trial of Hydrocarbon Engineering today.